MAKE SURE TO JOIN THE GROUP TO GET THE LATEST UPDATES !!! Where are the FastDL files located? How can I add maps/materials/models/sounds? WHEN I UPLOAD YOUR FILES I WILL PASTE YOU THE RIGHT CONFIG, DONT WORRY !!! Where it is GAMEDIR make sure you put right directory for your server !!! 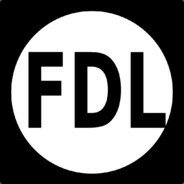 All damn games that support FastDL feature !!! The fastdl server is located in eastern Europe - Belgrade, Serbia, be aware of this when you choose us as your FastDL server, tho its the same speed in all parts of the world.